You don’t come across a Japanese cartoon-themed game every day, but we’ve got just that here in the shape of the Tokidoki Lucky Town slot. This is one of the latest UK slot games to be unleashed, and it certainly has a look all of its own. Will that be all it has to offer though? The Tokidoki Lucky Town slot is a 5 x 3 game from IGT featuring a generous 40 paylines. 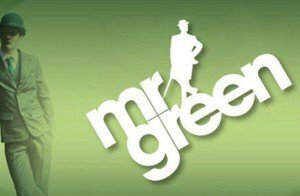 This is one of those slot games that essentially has a penny bet per line plus an extra bet on top rolled into one, to pay for the extra bonus features included. And there are definitely lots of those. Apparently, the Tokidoki brand is famous throughout Japan, but you won’t need to know anything about it to enjoy playing the game. If you tend to gravitate towards cartoon-style slots and you like anime and similar styles, this could be worth a closer look. IGT is a reliable creator of online slots of all descriptions. It’s probably fair to say this one is much better than you might at first think, and the secret to its success definitely lies in the Reel Reveal feature. We’ll reveal more on that in a moment. Think bright colours and fairly simple images and you’ll get a feel for the IGT Tokidoki Lucky Town online slot straightaway. You can pick out a few cartoon details in the background, but this slot relies on its reel presentation to pique your interest. You can’t deselect any of the lines, so you’re left to choose your bet amount before hitting the big yellow spin button. The graphics automatically appear in high resolution but you can change them if you like. The paytable is below the reels on the right. The skull and crossbones in white on a black background is the wild. It also appears in black on a yellow background with a multiplier added for good measure. This version only appears on the centre reel. 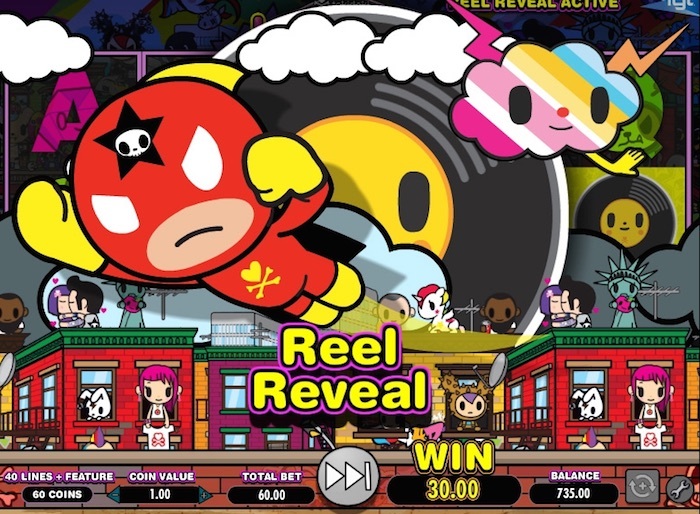 Various Tokidoki characters appear on the reels as well, and there are some special ones that may appear during the Reel Reveal feature (don’t worry, we haven’t forgotten about that). You’ve then got the usual A, K and Q-style symbols as well. The symbol to watch for when playing the main game is the arrow scatter. When this shows up on the fifth reel, the Reel Reveal feature begins. When this happens, the reels move over to the left. You also get another Reel Reveal spin that grants you another feature. If you manage to get the arrow on the fifth reel again, you get another Reel Reveal spin. You can do this as many as five times. Phew! The best way to see how the Reel Reveal feature works is to give the demo version of the game a try and keep on spinning until you trigger it. It took us a while to do it, but once you see it happen you will understand this part of the game a little better. It’s definitely the highlight. The biggest payout is smaller than we would expect. You can win 500x your bet for getting five wilds on a line. However, the bonus features can deliver multipliers of up to 15x so you could in theory win more than that. The minimum bet is 60p, which plays all the lines and unlocks the features as well. This is becoming more common in the more advanced slots today. You can pay a maximum bet of £600 per spin if you’re rich enough! Finally, the expected return-to-player level is between 92.57% and 96.24% overall. The highest end looks good, but the low end is lower than we’ve seen in many other slots. 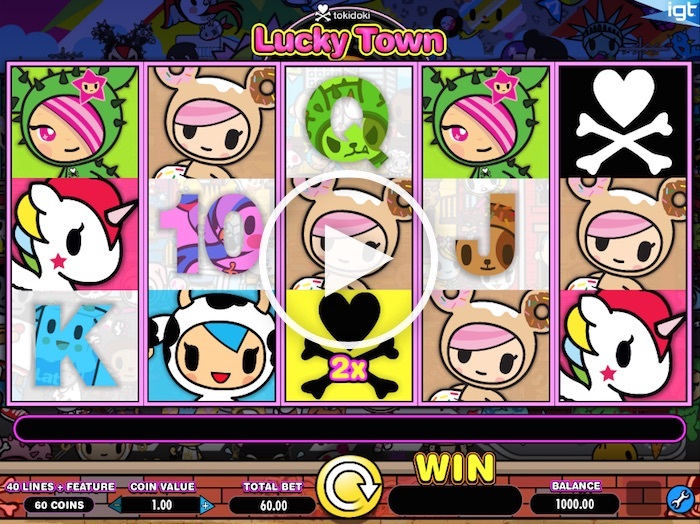 So what do we make of the Tokidoki Lucky Town slot? There have been plenty of new online slots to review of late, so is this among the best of them? Well, there are no free spins available which might be a disappointment for some. It doesn’t seem to have an auto-spin feature either. Other than that, it is a good game and there are enough bonus features built into it to keep most players happy. Once you’ve tried it and seen the best bits of the game, you will probably want to take it for another spin.